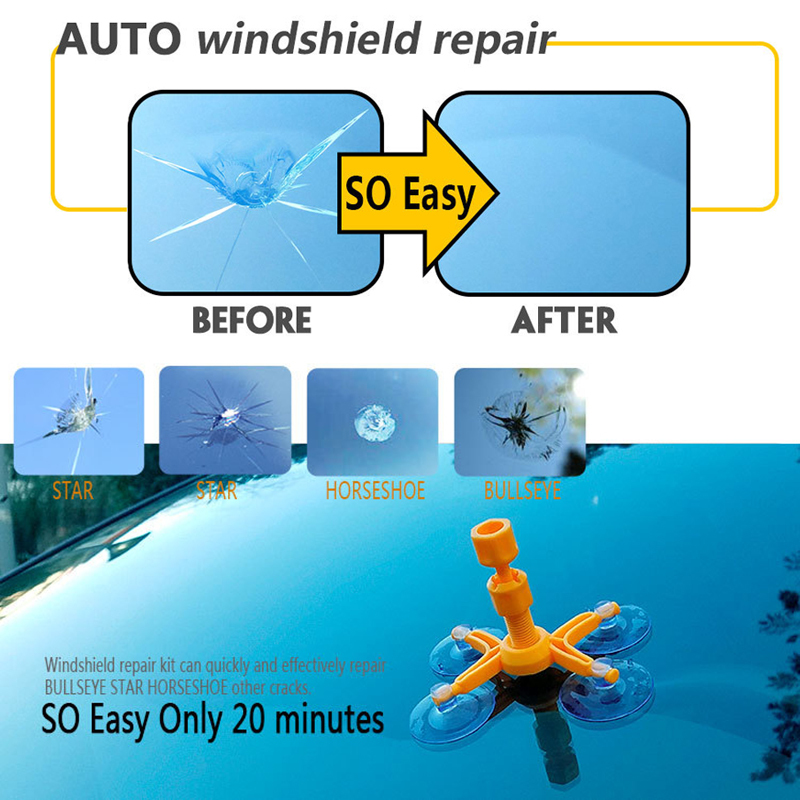 This Auto Windshield Repair Kit minimizes the appearance and stops the spread of chips and cracks on your windshield. 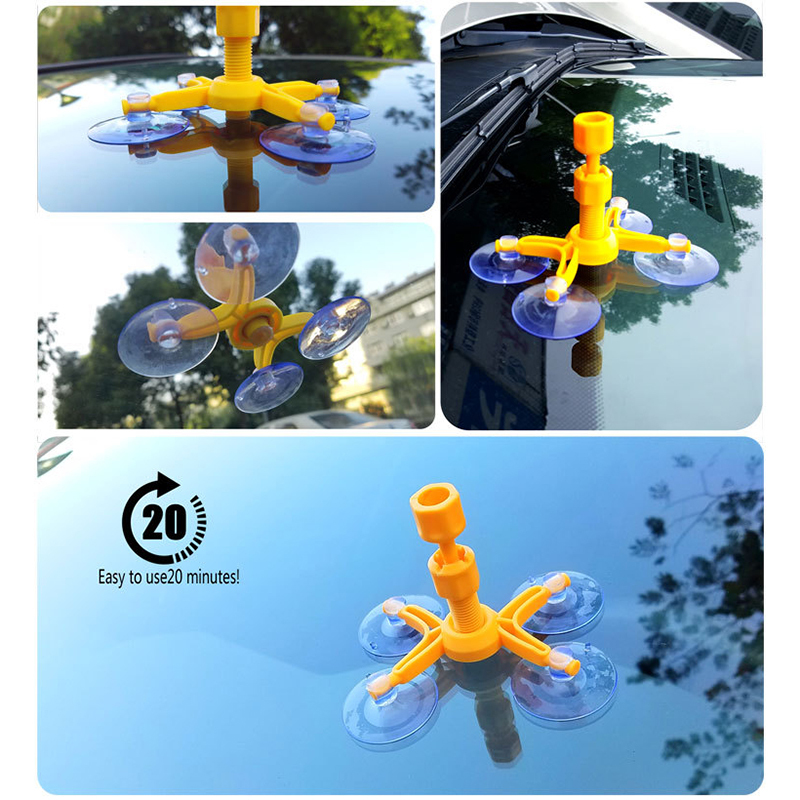 It removes air from the break, fills it with durable resin and makes it even stronger than before! 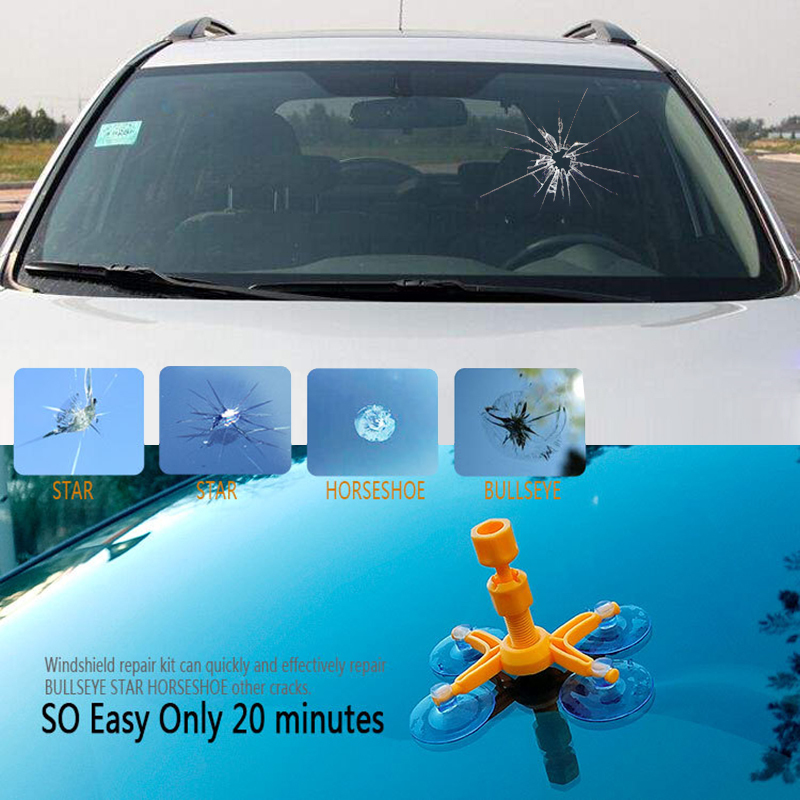 Tips: For best results, repairs should be made as soon as possible after the damage occurs and before the break is contaminated by dirt or water.